Everything we experience, everything we think is in flux, is impermanent. It’s not impermanence that makes us suffer it’s that we think things are permanent when they’re not. When we have the flu or are stuck in traffic we trust in the nature of impermanence that things will change. Impermanence is not a philosophy, it’s a practice. Non-self doesn’t mean we don’t exist, it means we are impermanent. The buddha taught that there are 3 kinds of suffering: 1. 2nd arrow suffering, where we multiply the stress of an event that takes place. 2. Willie Nelson suffering (Terry called it), where we want to hold onto what we like and get rid of what we don’t like. 3. Looking for solid ground suffering, wanting guarantees and certainty in life. Thay teaches that we need to let go of the little sufferings so that we can conserve energy for the big stuff. 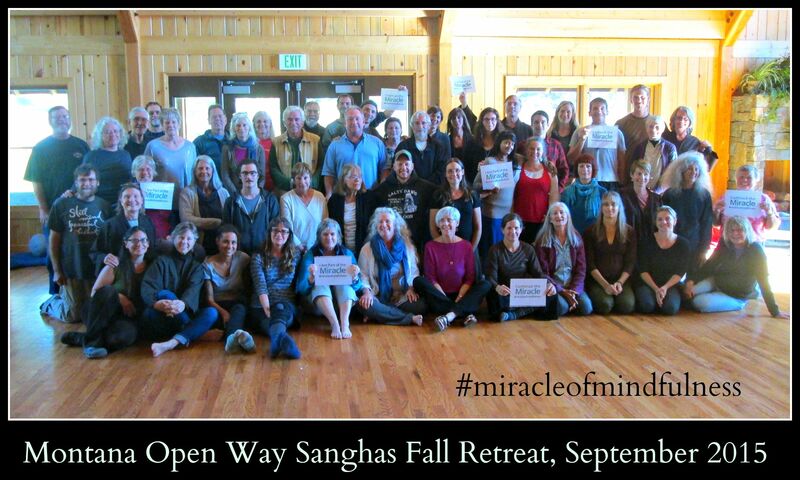 This last weekend was our annual Montana Open Way Sanghas fall retreat. Once again we used the Flathead Lutheran Bible Camp facility in Lakeside, MT which sits right on the Flathead Lake – so lovely! As a bit of background the Montana Open Way Sanghas consists of four sanghas in three different towns in western Montana: Open Way and Be Here Now (my group) in Missoula, Flowing Mountains in Helena, and Open Sky in Kalispell. Our collective sanghas are joined together as sister communities in the mindfulness tradition of Thich Nhat Hanh’s Order of Interbeing. The buddhist word Sangha means spiritual community in Sanskrit. We all join together for two retreats a year, assemble an annual newsletter publication, and our leaders meet quarterly. We are a big happy family here in Big Sky Country! 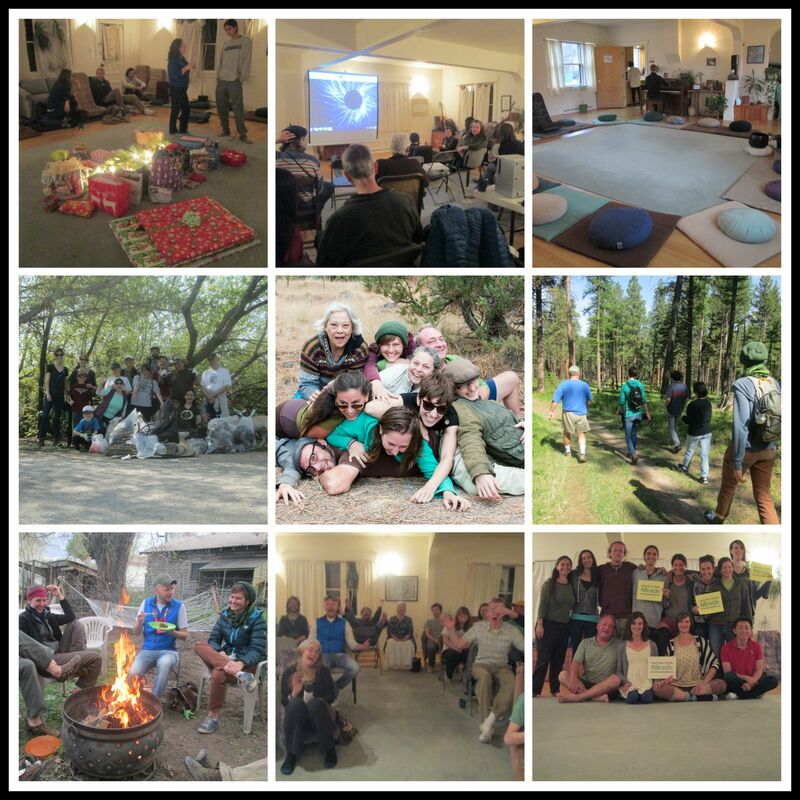 Our retreats start on a Thursday evening and end on Sunday afternoons. This past weekend we had 60 retreat attendants, our largest adult population yet to date. How wonderful it is that we have these opportunities locally to go on retreat and to be attracting so many folks. We brought in a dharma teacher from Austin, TX to lead our retreat, Terry Cortez-Vega. It was the first time she had come to lead a retreat for us and we very much enjoyed her down to earth style and way of sharing the dharma with us. I’ve been putting some intentional effort to get out and go for a short walk once or twice a week around my neighborhood. A lot of my time is spent writing or on the computer and I just don’t get enough movement and exercise in my day. I went for about a 40 minute walk just a little bit ago. It’s a lovely, sunny, autumn day here in the mountains. 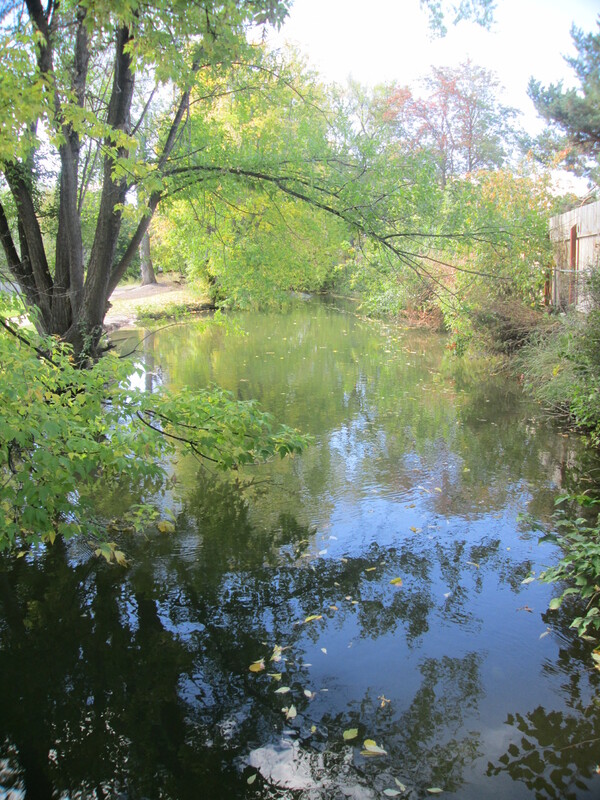 It’s a nice way to develop a deeper connection to one’s neighborhood by going for walks around them. I like to take different routes and go down streets I never had before. Some particular things I enjoyed seeing on my walk today were: a long legged dog rolling around enthusiastically on its back in the dirt, an older man operating what appeared to be a home-made remote control lawn mower, a parade of yellow leaves floating down a nearby stream, and a tree trunk that was twisted around itself. Some of you out there in the blogosphere might remember that this time last fall I posted about entering my first poetry slam. Well, it’s an annual slam that happens here in Missoula as part of Festival of the Book (now called the Montana Book Festival) and I decided to sign up again. It was this past Friday night. I ventured into writing spoken word pieces about 3 years ago. Not being overly familiar with poetry slams I didn’t realize, until a friend mentioned it to me, that what I was writing would fit right in with a slam platform. So I managed up enough huts-pah (aka courage) to sign up for my first slam last fall. I was the most nervous I ever remember being. But I did it! For those of you who may not be familiar with how slams work they’re competition based and involve folks performing their own poetry that can run the gamut from simple stylistic poetry to verse to having a rap/hip hop flavor. There are judges and scoring involved for each piece a poet performs. A set amount of poets start off in round 1 and then that number gets halved, based on their scores, for round 2 and so on until 2 poets are left to duke it out for first place. In the annual one here that takes place as part of the Book Festival there are 4 rounds. Last fall I didn’t make it past round 2. I was in a slam, that had only 1 round, this past spring and took 3rd place. And in this most recent slam I took 2nd place. But it wasn’t about winning, and still isn’t, for me. I do it because I enjoy the art of writing and spoken word and because it’s a good practice in sharing what I love to do. And it is a practice – which means it takes work, effort, and diligence. The more I practice the more I keep practicing, the more skill I develop, and the easier it gets. I revert back to this simple equation often. Practice = more practice = more skill = easier. In honor of my 300th post I thought I’d pay homage to my local meditation group, the Be Here Now Sangha, celebrating 13 years together this month! The word sangha is Sanskrit meaning spiritual community in Buddhism. I started the Be Here Now Sangha, rooted in the mindfulness tradition of Zen Master Thich Nhat Hanh, in September of 2002. My husband and I had sat with a meditation group on the east coast, in early 2002, called the Night Sky Sangha. While they have changed their format and tradition since then they continue to meet at the Pebble Hill Church in Doylestown, PA, which I am so delighted to know. 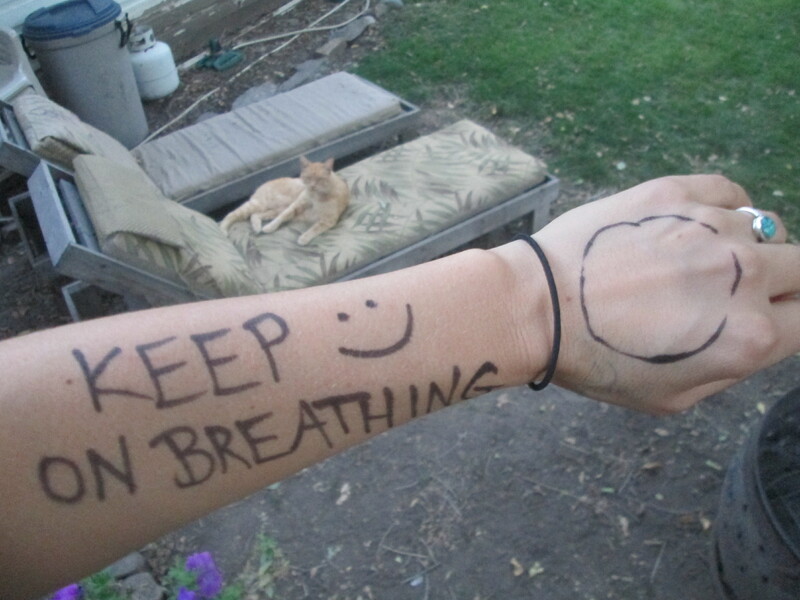 When we moved back to Missoula, MT I missed having a group to practice meditation with. So even though I was a novice and did not know much about mindfulness or meditation at the time I did what somehow made sense to me: I started my own group! I knew I didn’t have the resolve to meditate on my own at home. I needed others to practice with. I didn’t presume to have any knowledge or abilities. 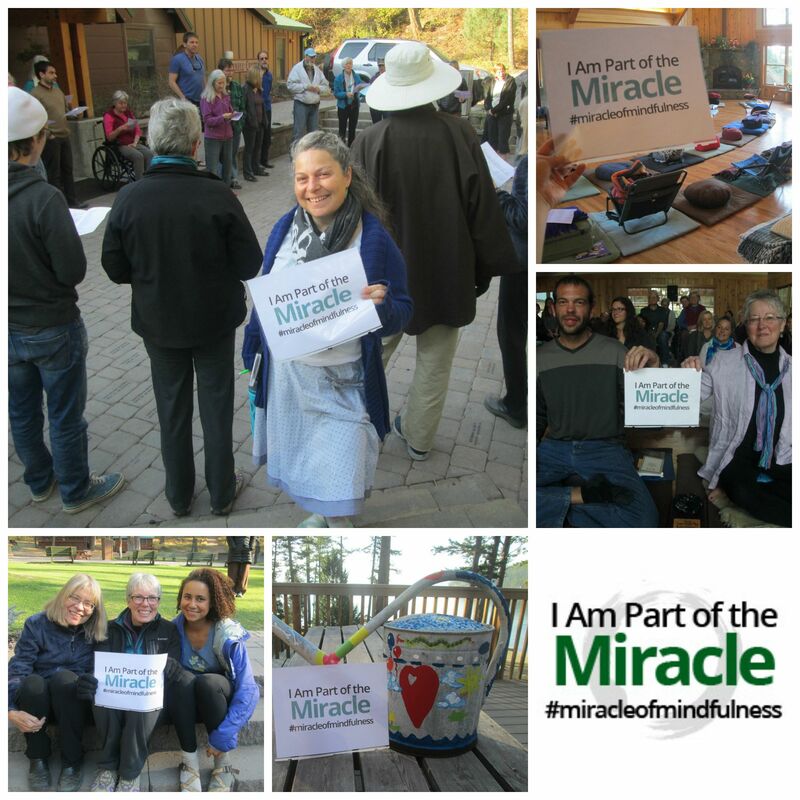 I simply wanted the support of others to continue my mindfulness and meditation practice with. I knew myself well enough to know that if I started a group I’d follow through with it. I jokingly say, and it’s true, that all I did was show up and turn the lights on for those first few years. While there was a little more involved it wasn’t much. My role at the beginning can be whittled down to four words: I kept showing up. A pic I found on a local news outlet website and added Be Here Now to (pic credit on photo). When we learn the art of mindfulness through the cultivation of meditation, relaxation, and joy our lives have the opportunity to become more spacious and at ease. This class will be focusing on the practice of sitting meditation, watering seeds of joy within ourselves, and learning how to rest our bodies and minds through the process of guided relaxation. No experience necessary, great for beginners. 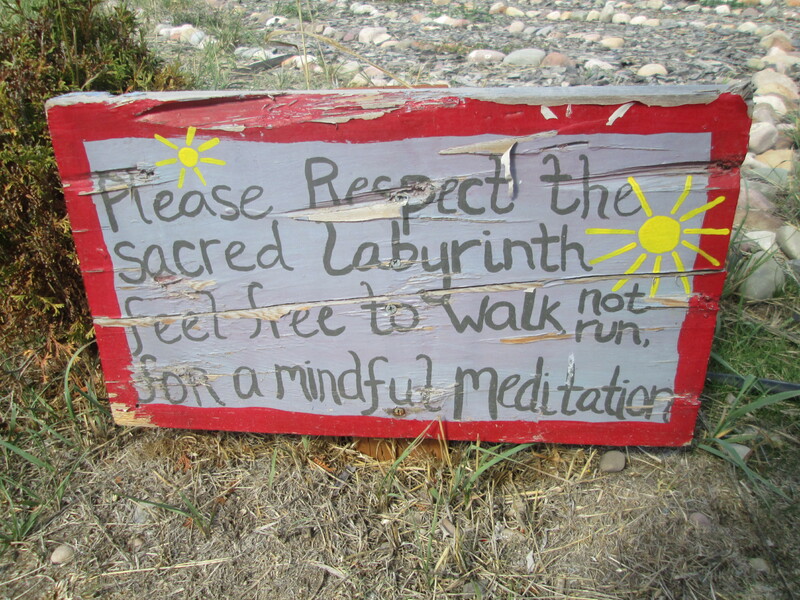 This is a non-faith based approach to living more happily and mindfully in the present moment, all are welcome. A variety of cushions, benches, and chairs will be provided. Since it turns out that in the span of 5 days I’ll be giving a talk for Unity Church’s interfaith day of prayer service, performing in a poetry slam (this Friday! Gulp! ), starting my class series, and giving a teaching talk at my local sangha I’m especially finding the need to write out my preparations for these speaking engagements in order to keep them all organized. So, once again in line with two of my most recent posts, this one is to help me sort through what to cover in my first class.